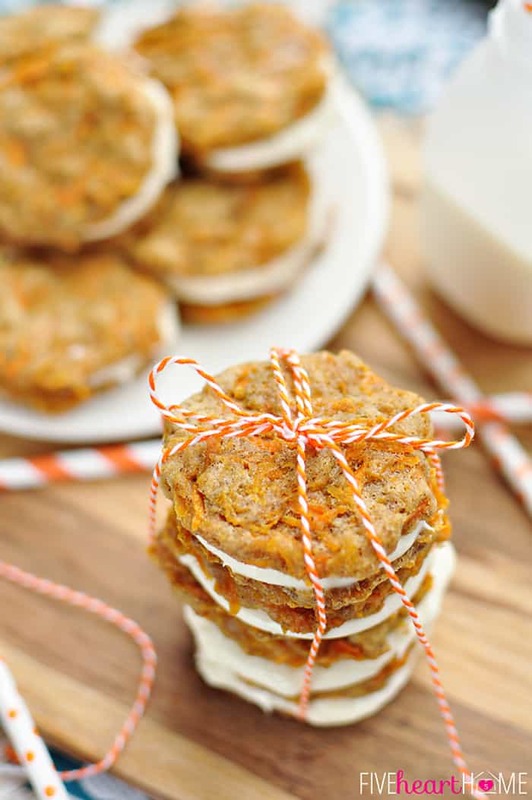 Carrot cake-flavored cookies are sandwiched together with cream cheese frosting in these cute little whoopie pies, making them an easy-to-serve, hand-held dessert, perfect for a springtime get-together or Easter celebration! Now that we have officially entered spring, I officially have Easter on the brain. The weather is getting warmer, the grass is beginning to green up, the flowers are starting to bloom, and lots of yummy spring produce is hitting the stores and farmers markets. And as much as I love incorporating those fresh, delicious veggies into salads and Easter-worthy side dishes, it’s even more fun turning them into dessert! So raise your hand if you love carrot cake? I always enjoy it when I have the opportunity to eat it, but I must confess that I don’t really think to make it until Easter time rolls around. And as much as I love cake in general, sometimes it’s fun to try a new spin on a classic dessert. 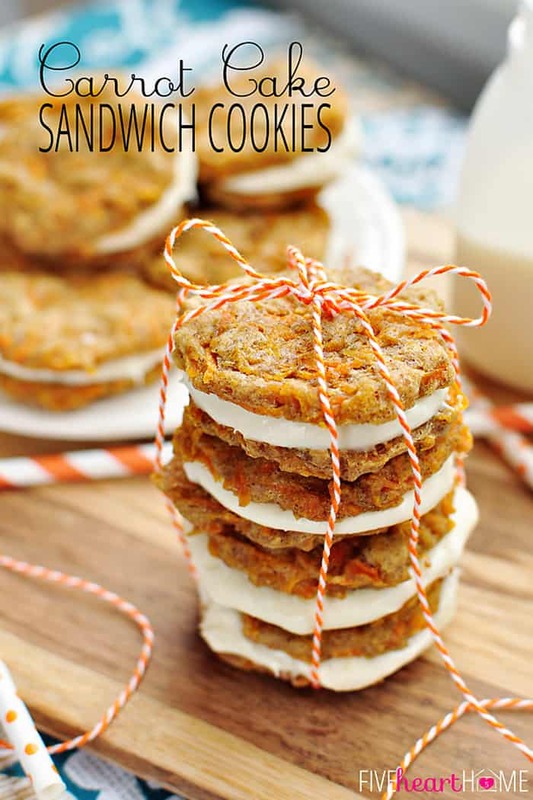 That’s why I was so excited to come across this recipe for Carrot Cake Sandwich Cookies! These little babies are basically carrot cake with cream cheese frosting reincarnated as lightened-up, mini whoopie pies. The cookies themselves are very cake-like, tender, and sweet, and the filling is only the best type of frosting ever. Okay, so perhaps that’s my opinion, but I think you’ll agree that this cream cheese filling is a perfect complement to the cinnamon-spiced, carrot-studded cookies. On top of all of that deliciousness, these cute little cookies are perfectly portioned and would be easy to serve and eat at any springtime or Easter gathering. Think about it…all the yumminess of carrot cake without having to slice a cake, serve it on plates, and eat it with forks. Just let everyone grab a cookie and dessert is done! I think children will be especially fond of these, and you can inwardly cackle at the thought that they’re ingesting nutritious carrots as a part of their sweet treat. Maybe I’m the only one who cackles at such hidden-veggie trickery? Honestly, though, my kids knew that these cookies contained carrots and that didn’t slow them down in the least. I present to you Exhibit A. 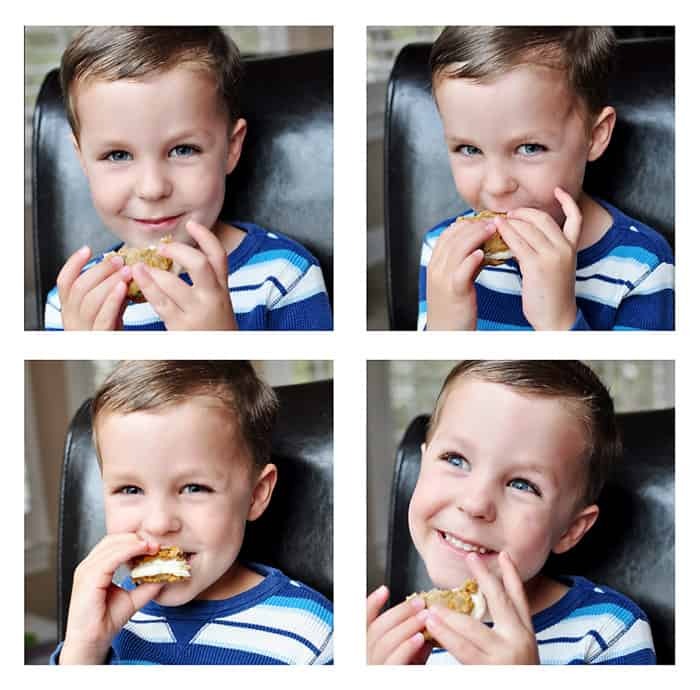 Big brother was at school and baby sister was taking a nap, so the 4-year-old was more than happy to act as my numero uno taste tester…and he approved, as evident in his slightly sugar-crazed look in that last pic. 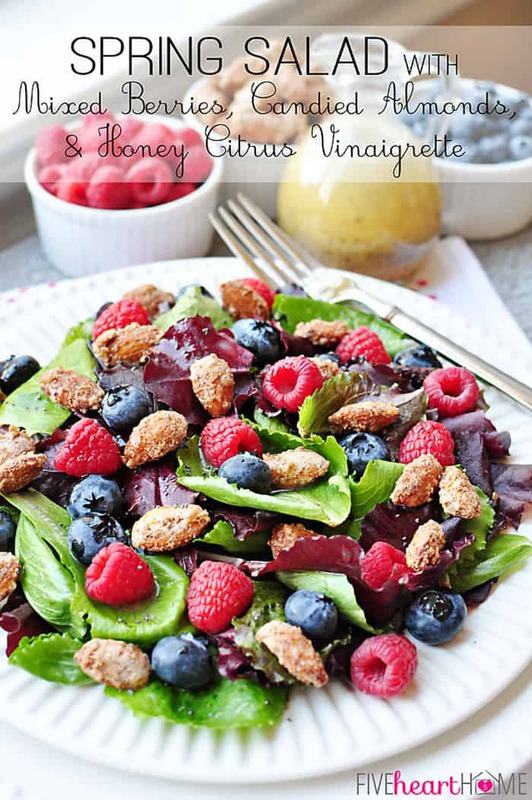 I actually came across this clever recipe while flipping through the latest issue of Cooking Light. I believe I’ve mentioned before my love of magazines (ahem, enough to include it in #1), and to say that my love borders on addiction would probably be an understatement. I find reading each and every word of a magazine, cover to cover, to be the ultimate means of relaxation. I border on hoarder when it comes to magazines, because I have a hard time throwing away such treasure troves of recipes and ideas. As a result, I keep some of my favorite issues in their entireties, and for other issues, I rip out and save lots of pages before (reluctantly) tossing them into recycling (and that’s only because my non-hoarder hubby makes me…killjoy). I’m also the girl who blows half of her vacation budget at the airport newsstand buying each current issue of every favorite magazine for the plane ride. Y’all do that, too, right? 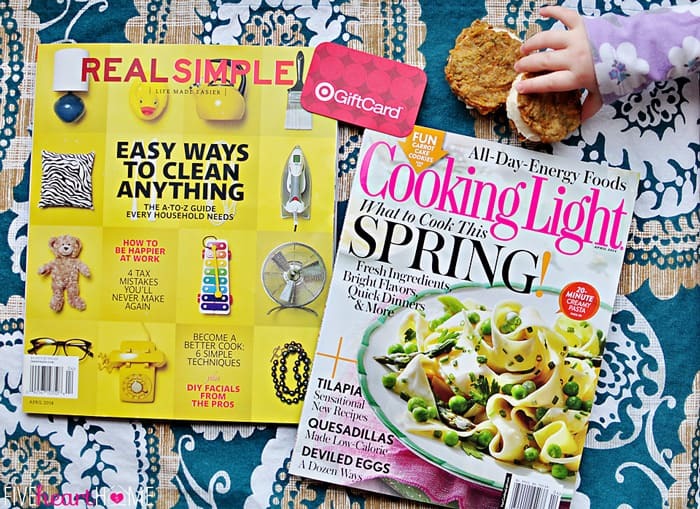 So you can imagine my excitement when I found out that there is currently a promotion running whereby you can purchase the April issues of Real Simple and Cooking Light magazines at Target to receive a $5 Target gift card back! Um, my magazine addict math tells me that’s basically like buy one, get one free. In other words, SCORE! Because who wouldn’t love the excuse to head back to Target later today tomorrow soon to spend that gift card burning a hole in your pocket?! I mean, you could even get another magazine! Hmmm…it appears naptime is over. I marked lots of recipes in my shiny new Real Simple and Cooking Light for whipping up this spring. 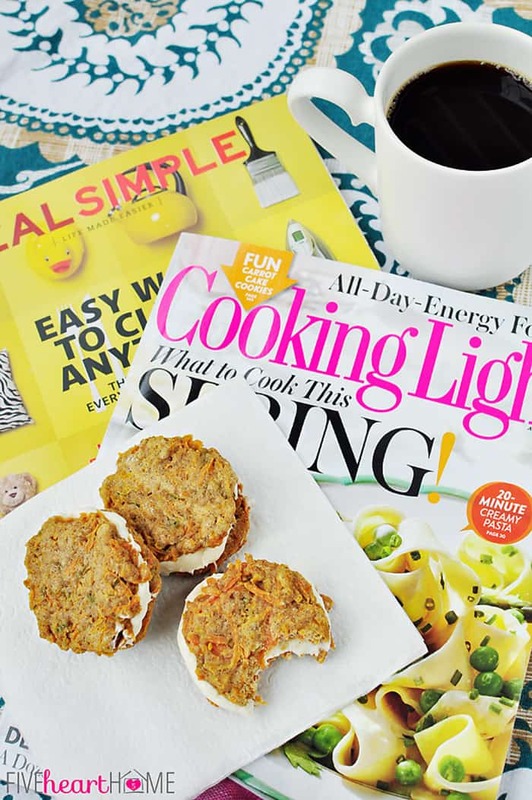 I’m all about quick and easy, healthy recipes using fresh, seasonal ingredients that I can feel good about feeding my family…and let’s just say that I’m going to be hiding these two magazines from my husband so that they can go into my “hoarder” collection. 😉 These April issues are good ones, y’all. Recipe reprinted, with permission, from Cooking Light, April 2014. 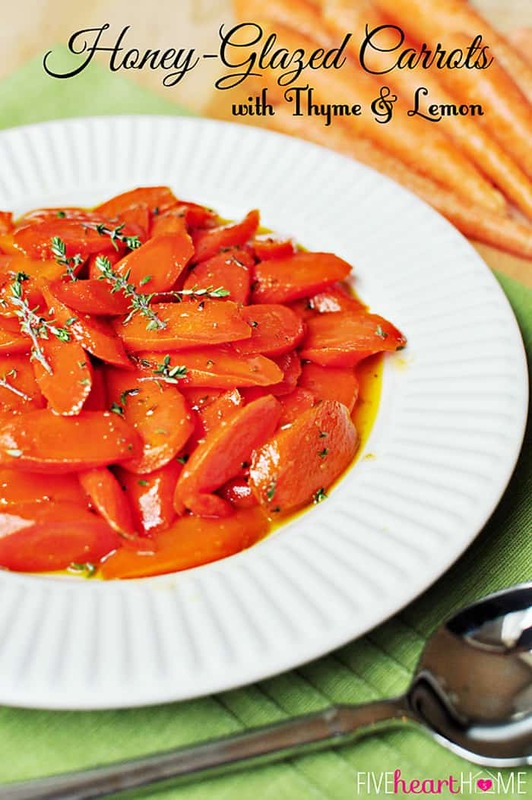 NOTES FROM COOKING LIGHT: *Macerating the carrot with sugar helps to break down the carrot's tough fibers, ensuring that it will be tender after the short cook time. *After scooping dough onto baking sheets, gently pat it down so that cookies bake generally flat; aim for 2-inch circles. 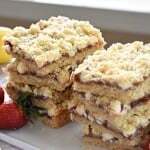 *When assembling the cookie sandwiches, press together gently so filling flattens and spreads all the way out to the edges. NOTES FROM SAMANTHA: *If your carrot pieces are too thick, they won't have time to adequately soften in these cookies. Shredded carrots will work fine, but if you buy matchstick carrots in a package from the produce section, be sure to chop them finely before using in this recipe. *I used coconut oil (melted and cooled) with good results in lieu of canola oil in this recipe, since that's what I typically use in my baking. *There is a definite undertone of orange from the zest, so if you don't care for citrus in your carrot cake, feel free to reduce or omit it. *I only got 12 total sandwich cookies (24 individual cookies) out of this recipe, despite using a tablespoon to measure them out. If you want to end up with 14 sandwich cookies by the end, I suggest using a scant tablespoon of dough per cookie. *The next time I make this recipe, I plan on substituting half of the all-purpose flour with whole wheat pastry flour for an even healthier variation. 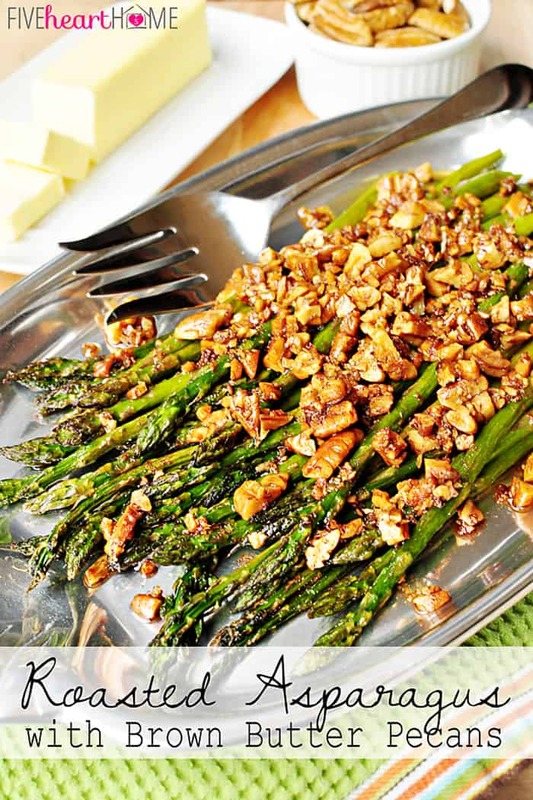 More spring & Easter recipes! Thanks, Eric! If you love carrot cake, these sandwich cookies have your number. 😉 I appreciate you stopping by…hope you’re having a great week! So true, Zainab…small cookies = freebie calories, right? 😉 Hope your spring is off to a great start! Samantha, these cookies look wonderful and who doesn’t love carrot cake? Great size, too! Ok, we have an addiction of magazines in common, my friend – hubby keeps joking we need to rent a storage unit JUST for the magazines (let’s not even talk about the craft supplies! lol) I totally agree that magazines are the ultimate relaxation and will never give them up! 🙂 Thanks for sharing and pinning these beautiful cookies! Ha, Cindy…so glad to hear I’m not alone in my magazine addiction! I have the hardest time throwing them away when they’re full of so much good stuff, so I can definitely understand the potential need for a storage unit. 😉 Thanks for stopping by and pinning, as always…hope you’re having a fabulous Tuesday! 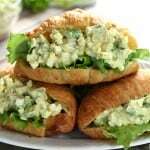 These look fabulous, and I love that they are from Cooking Light! I am glad for your note about the coconut oil, because that is what I have in my house currently. Pinning and will definitely try. Thanks for sharing! I’m glad you came by as well, Carrie! 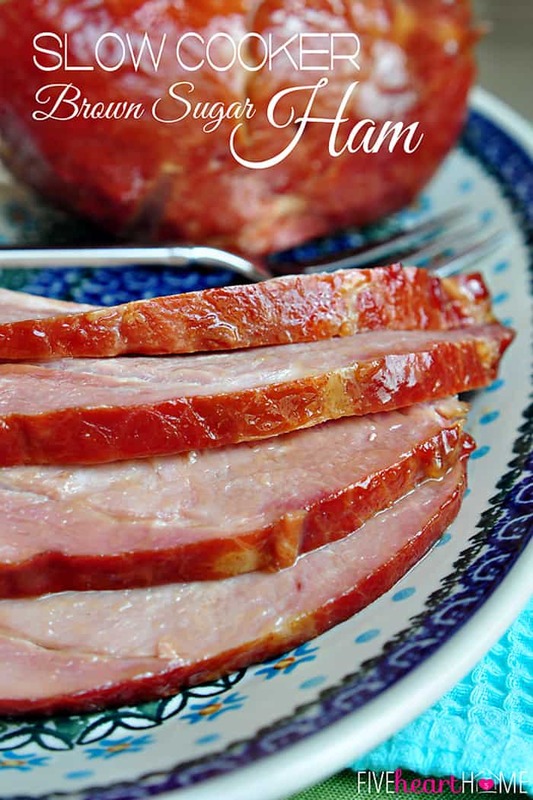 🙂 And thanks so much for the pin…I hope you enjoy this recipe! 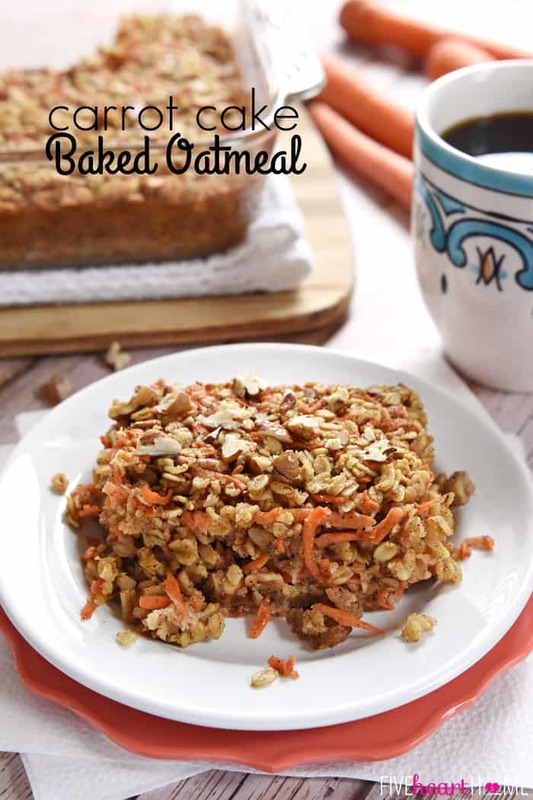 These look so delicious…and carrot cake is one of the Hubby’s faves too! I agree, they would be a perfect part of the Easter goodies. Thanks, once again! You’re welcome, Deb! And I hope your hubby enjoys these! Carrot Cake is my brother’s favorite cake, so I’m going to have to make these for him sometime as well. 🙂 Hope your week is going well! 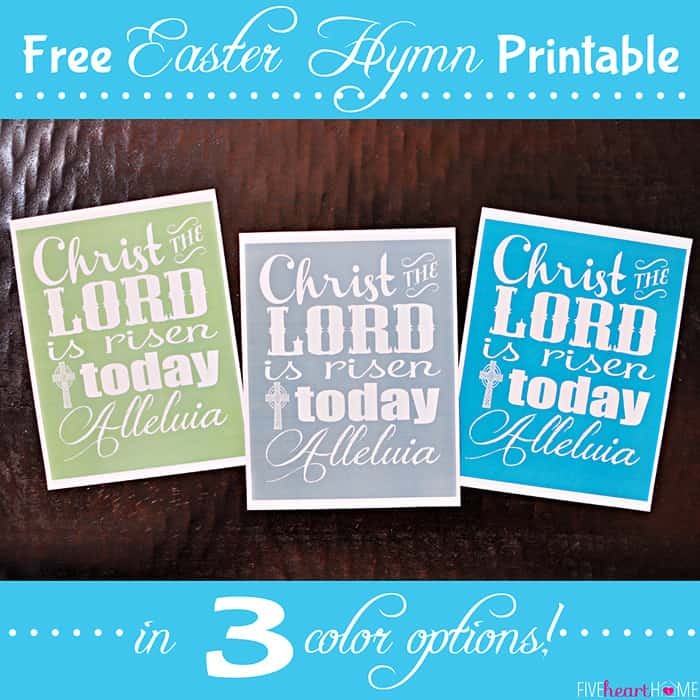 I was just thinking I wanted to make something like this for Easter. These look so good with all the frosting! Thanks so much, Dorothy! Based on the comments for this recipe so far, it sounds like carrot cake is really popular with guys in general (at my house, too!). 🙂 I’m glad you stopped by…have a great evening! 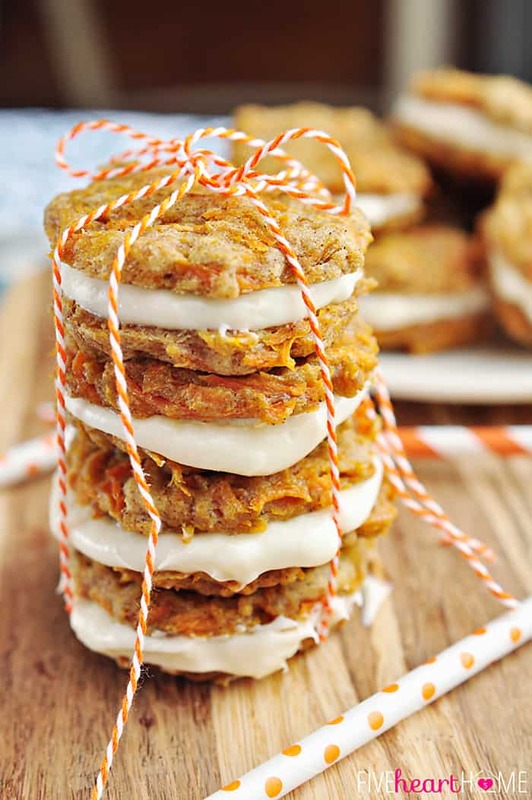 Carrot Cake is my Favorite and these look Amazing! Wow! I want to reach into my computer screen and steal one (actually all) of these cookies! They look amazing! 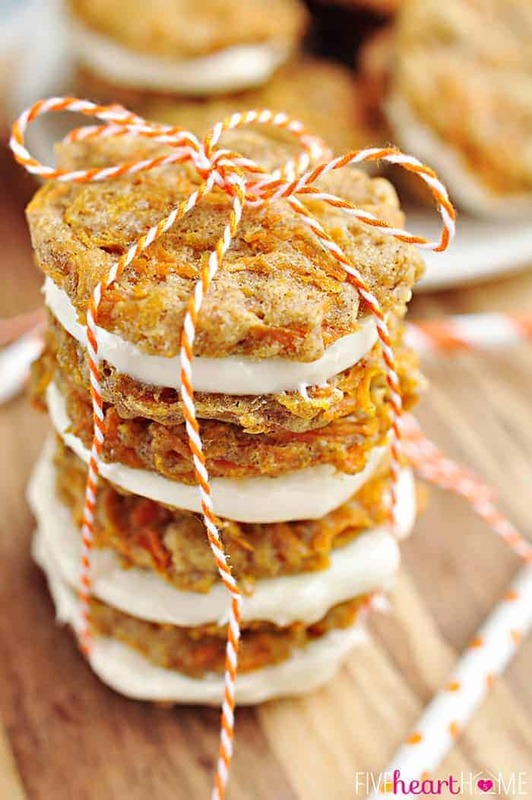 My husband loves carrot cake, so I bet he would love these too! Definitely pinning! JUST saw these in my Cooking Light! Good to read they were good!! Your photos are GREAT! These look so good. I love carrot cake anything. Wish I could have these for breakfast right now. 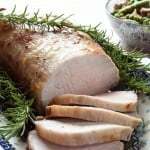 your photo was so pretty I had to come ad take a peek at this recipe. I LOVE carrot cake and a cookie would be delicious! Thanks so much, Rese! 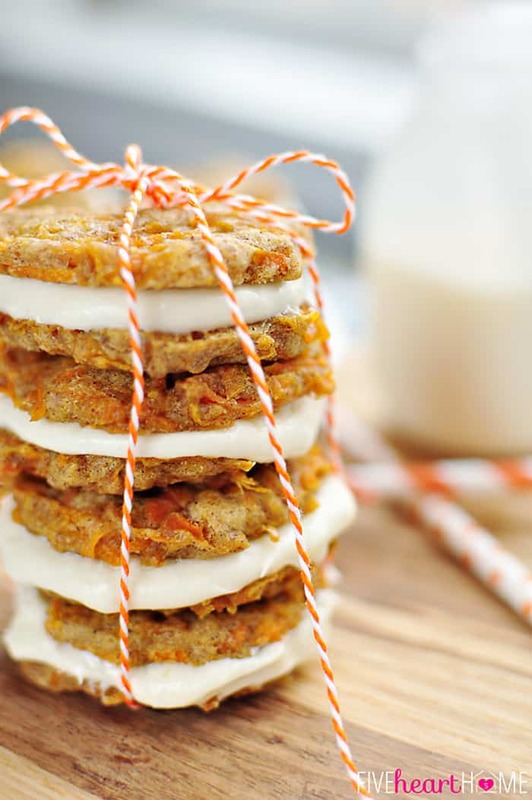 If you love carrot cake, you definitely should try these. 🙂 I appreciate you stopping by! carrot cake? And who doesn’t love cookies? What a splendid idea. I am going to make these!!!! I am on my way to bring my popularity level up a notch or two. Yay! I love carrot cake and cookies – so win- win 🙂 Lovely recipe. This looks wonderful! Whenever I see carrot cake recipes with cream cheese frosting, I think of my dad! Perhaps we’l have to make these for him this summer:) Also, your little boy is just too cute! G’day! These looks so fun and delish! I would like to try one right now! Thank you, Joanne! I appreciate you stopping by! Pinned these today and I can’t wait to try! Beautiful pictures! Saw your post on Love of Family & Home Weekend Blog Hop! I hope you love them, Beth! Thanks so much for the pin and the sweet comment. 🙂 Happy Friday! 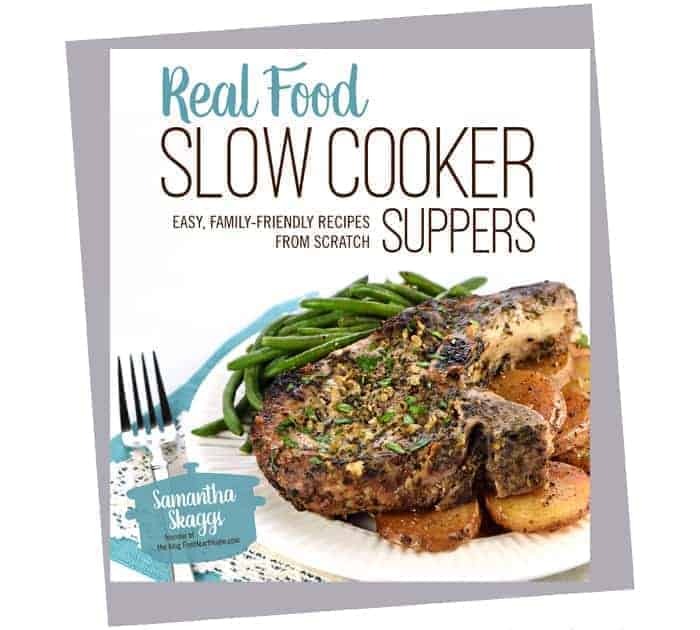 These look and sound absolutely wonderful, Samatha! 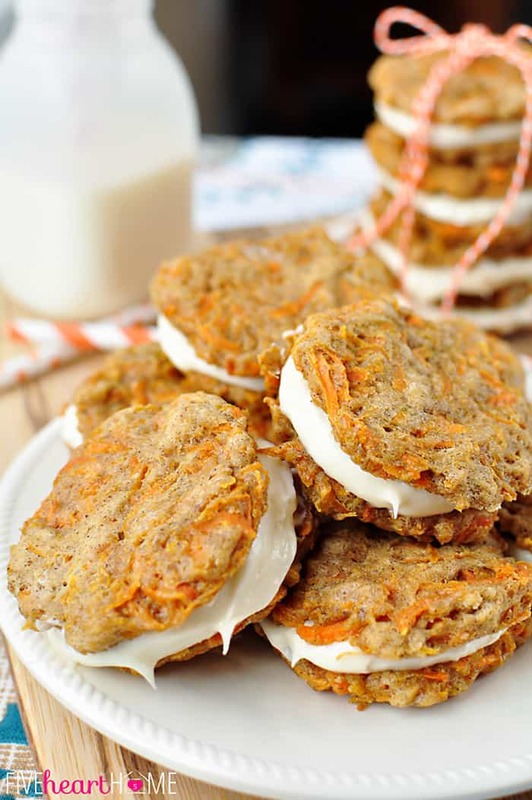 I love sandwich cookies and must confess I’ll always have a special place in my heart for Little Debbie Oatmeal Pies though I’m sure these homemade carrot cake cookies would blow them outta the water. Pinning! Oh my gosh, these look so delicious and your kiddo is super cute! These are so adorable (AND look amazing)! Pinned it:) have a great weekend. found this at showstopper Saturday. Thank you, Rachel…I appreciate you stopping by! Hope your week is off to a great start! These look so yummy. Thanks for sharing! Love love love these!! 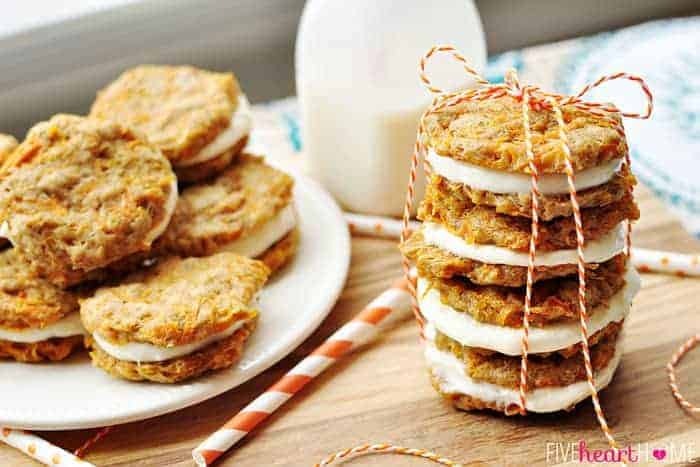 🙂 So perfect for Easter, or really just anytime you might want delicious carrot cake cookie sandwiches. Which would be all the time! 😉 Pinned! You are too sweet, Jocelyn…thank you! And I really appreciate the pin. 🙂 Hope you have a great week! These look soo good! Perfect for this time of year! I shared them on my FB page. Thanks for linking up at Monday Funday! Congratulations…this post was featured on Create It Thursday #48! Thanks for sharing such a great idea last week! 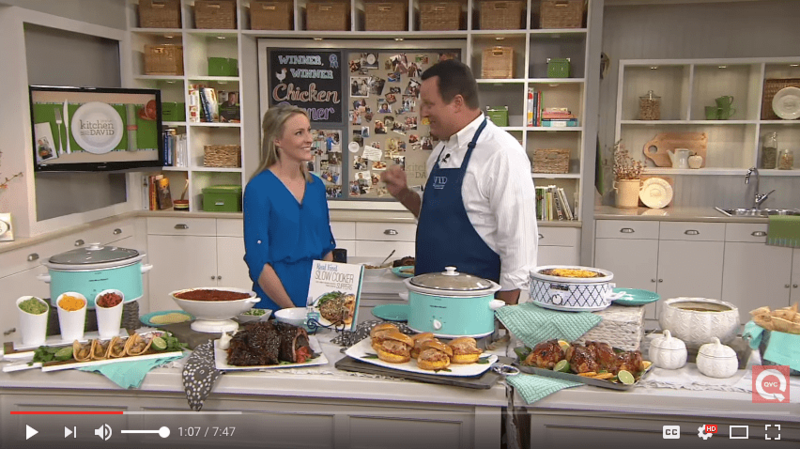 Thank you for the feature, Leslie, and for hosting such a fun party each week! 🙂 Happy Friday! Carrot cake is my absolute favourite, I can’t wait to try a cookie version. They look amazing! Thank you, Julie! If you like carrot cake, I think you will love these (and I hope you do)… 🙂 Happy Friday! I have just have a quick question – if I use shredded carrots, do I still need to mix them with the brown sugar and them sit for 10 minutes? And if not, then do I add that extra brown sugar into the rest of the dough or leave it out? Thanks!! Hi Karissa! I’m glad you’re going to try these! 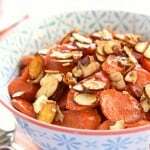 Yes, you need to let the carrots macerate with the brown sugar regardless of whether you shred them yourself or buy them pre-shredded. The sugar will draw out some of the excess moisture so that you’re cookie dough doesn’t end up with too much water. 🙂 Thanks for the question…hope that helps! Have a great weekend! Okay, thank you so much!!! I will be making them tomorrow, Lord willing, then!!!!! Carrot Cake is a favorite, and this recipe sounds incredible. I love the simple way you tied the cookings together with spring….adorable. 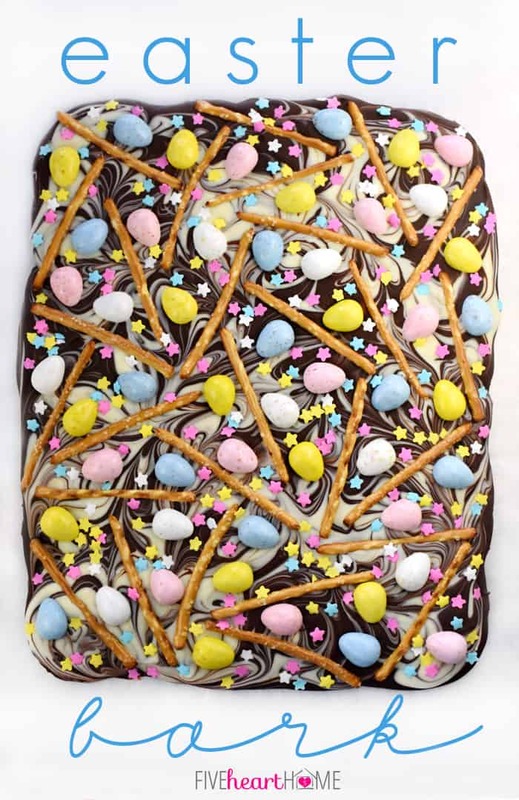 I featured your recipe in our Feature Friday last week for 20 ‘Egg’stra Special Easter Desserts! I hope you can visit! 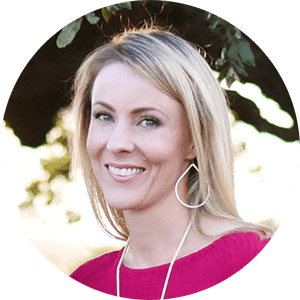 Thanks so much, Michelle…I’m honored to be featured! Heading over now to check it out. 🙂 Hope you’re having a great week!